How to Leverage Organic SEO to Grow your Business? | ODosta Inc. Businesses die when they cash dries out. And pretty sure it’s the last thing you want to happen in your business. 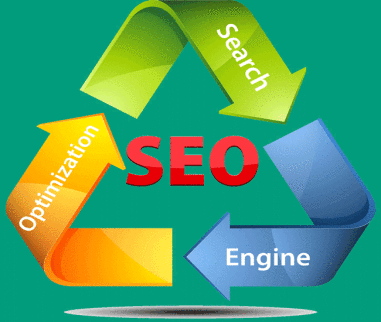 So if you want to be in for a long time then you might want to consider investing your time or money on Search Engine Optimization since around 70% of the links search users click on are brought by organic SEO, it’s extremely important to focus on improving your search engine optimization and adapting it to your own needs. When searches hit up search engines, may it be google, bing, duck duck go, etc. they are looking for something that’s currently relevant on what’s going on with their life. A newly opened business in Australia selling designer clothing online is looking for ways to grow their sites traffic and decided to use SEO as a method. If they type in SEO in Sydney and you came on top on the search result, and the page they landed on your website is relevant with all the information they need. 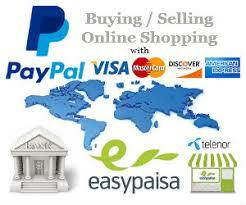 Then these searchers are likely to convert as a buyer. Compared to another form of advertising, you can buy ads on facebook or google and have your site showing up. But if these people are not ready to buy then it’s likely you will have low conversion ads. In order to obtain great SEO results, you need to make sure that you know your audience. Understand your industry as this will make it easy for you to find the right keywords to use. Also, don’t search for some very complicated words and instead opt for general keywords. Keep it natural as that’s what most people will do. Don’t hesitate to use localized keywords, that’s a very important part to keep in mind. It’s a good idea to follow white hat methods to optimize your site. Ideally, you want to make sure that your site is loading very fast, as that’s an extremely important thing for customers. In addition, add keywords everywhere on your site, create a sitemap and don’t hesitate to add a blog for extra exposure and more leads. We also recommend you to create your Google My Business page and include a link to that from your website. Every minor detail matters and it can bring in some organic SEO boost. Your site might feel static, but you can make it more dynamic by offering people ways to interact with you and sharing it with others. Social media integration is very important for SEO, but it does bring in front some astounding results and the return on investment will be second to none in the end. Plus, when you get them to visit your social media pages, either to follow you on Instagram and Twitter, or either hit the like button. You’ll be able to market to them anytime you want and give them updates whenever you have a new promotion or helpful content. While having a website is great for your business, if you want great organic SEO results it’s extremely important to create content as often as you can. New content is great for organic SEO, and it will provide outstanding results in the long run. You can expect some challenges here and there, but for the most part, it can be fantastic. Don’t rely solely on text, you can also add images and videos to your site. Videos are very good right now, and they will be great for growing your business and taking it to new heights. It does take a bit of time to find a good format that includes all kinds of media alongside written text, but it will be worth it. Email Marketing might be old school. but just like the old songs we still hear them a lot. That’s because money is on the list. When you build up your email list, you can market to them anytime you want, and build a relationship with them through some autoresponder sequence. Whether you’re selling marketing services, information, and physical products. One thing is certain, investing in organic SEO does have the potential to pay off big time if you do it right. Work closely with SEO Sydney experts and don’t hesitate to invest a bit in SEO to get the results you expect. Also, try to take your time, organic SEO does take a while until it shows its results. But it will be worth it. Why? Because your competitors will be spending more of their money on ads and social media every month and they need to shell out money to get more customer. While you rank high on google and receive traffic month after month with zero monetary investment.